Chapman Middle School aims to provide a safe and positive learning environment which will empower all students to learn and achieve to their maximum potential and become responsible, productive citizens. 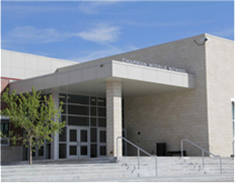 Chapman Middle School offers a strong and caring educational environment for its 6th, 7th, and 8th grade students. The entire staff at Chapman Middle School strives to create an environment that fosters mutual respect, inspires the love of learning, and we expect excellence from all. 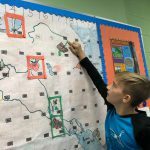 Here you will find information about academic programs, school procedures, introduction to staff members, a calendar of events and school breakfast and lunch menus. 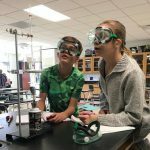 At Chapman Middle School we take pride in offering students a variety of courses ranging from the core classes, to physical education, the arts and outdoor activities just to name a few. Coinciding with the academic focus we work with the social and emotional needs of this age group as we emphasize respect, responsibility and safety as key social components for success. Chapman Middle School has outstanding teachers who understand middle level students, and make middle grades a positive learning experience. Additionally, Chapman Middle School has numerous extracurricular activities including athletics, weights, a book club and school leadership that are offered to our students. All of our programs challenge students to adhere to the Chapman Middle School Irish Code of Character! If you need more information about our school please contact the principal or counselor. We would be happy to assist you in any way possible.